We have two copies of “Hacienda 30: The Album” signed by Graeme Park, Peter Hook and Mike Pickering plus 2 pairs of Tickets for Hacienda 30: The Christmas party for you to win! Following the trio of sold Manchester parties celebrating the 30th Anniversary of FAC 51, The Hacienda returns to Sankeys for “Hacienda 30: The Christmas Party”, its annual Christmas event. 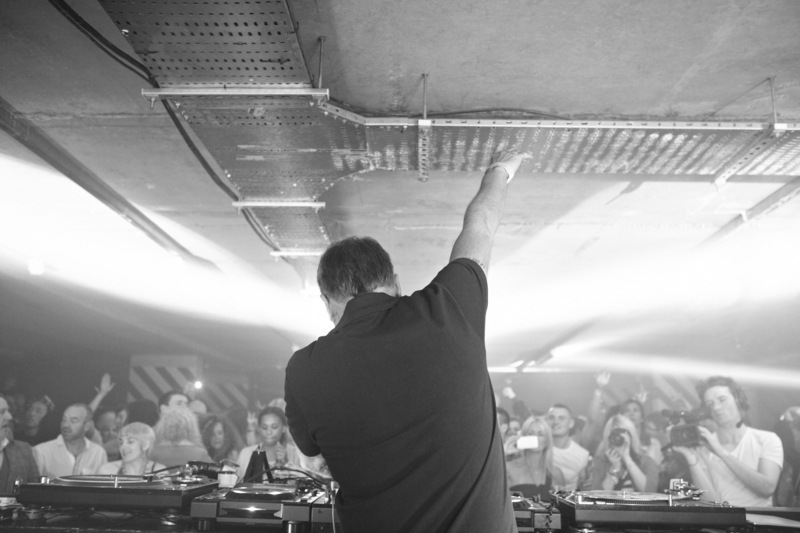 Hacienda legend Graeme Park will be taking sole charge of Sankeys downstairs dance floor performing a unique and exclusive seven hour set throughout the night. Joining Marshall are legendary early DJ’s from the Manchester scene, Russ who for many years ran Manchester Underground records and was resident at The Hacienda’s Shine night in the early Nineties. Alongside Russ and making a rare DJ appearance, DJ Nipper, himself a veteran of Eastern Bloc records and numerous classic early gigs. Peter Hook and MC Tunes round off the upstairs bill whilst Herbie Saccani and Bobby Langley provide the soundtrack for Sankeys bar. “Hacienda 30: The Album”, is a triple CD and download package of the finest Hac classics mixed by Graeme Park, Peter Hook and Mike Pickering which was released mid October. The three CD package pulls out many long confirmed Haçienda classics and some of the lesser known but equally loved tracks which came to rock FAC 51 to its very foundations including Darlene Lewis “Let The Music (Lift You Up)” (Reese Inner City Club Mix)”, Lil’ Mo’ Yin Yang “Reach” (Kenny Dope Remix), MK “Burning” (MK Extended Mix), De-Lite ft. Osca Child classic “Wild Times” (Mayday Mix). Jamie Principle’s “Baby Want’s To Ride”, Nitro DeLuxe’s “This Brutal House”, Hashim “Al-Naafyish (The Soul)”, Robert Owens “I’ll Be Your Friend”, New Order – “Fine Time” (Steve ‘Silk’ Hurley Mix), Kevin Saunderson “The Groove That Won’t Stop” (Detroit Special Mix), The Stone Roses “Made Of Stone (808 State Remix)”, Degrees Of Motion “Do You Want It Right Now” and the Twin Peaks sampling Moby “Go” (Woodtick Remix). The release comes with a specially designed booklet featuring previously unseen Haçienda photography and a focus on the clubs Thirtieth Anniversary Party that took place in The Car Park of The Haçienda Apartments on 21st May 2012 - thirty years to the day the club first opened. For your chance to win a copy of “Hacienda 30: The Album” singed by Graeme Park, Peter Hook and Mike Pickering and a pair of Tickets for Hacienda 30 The Christmas party, re-tweet the message below and you're in! I don't know about stocking fillers; these are amazing stand alone Christmas presents! Good luck, the winners will be notified / announced on 24th December, Christmas Eve. (T&C's apply).